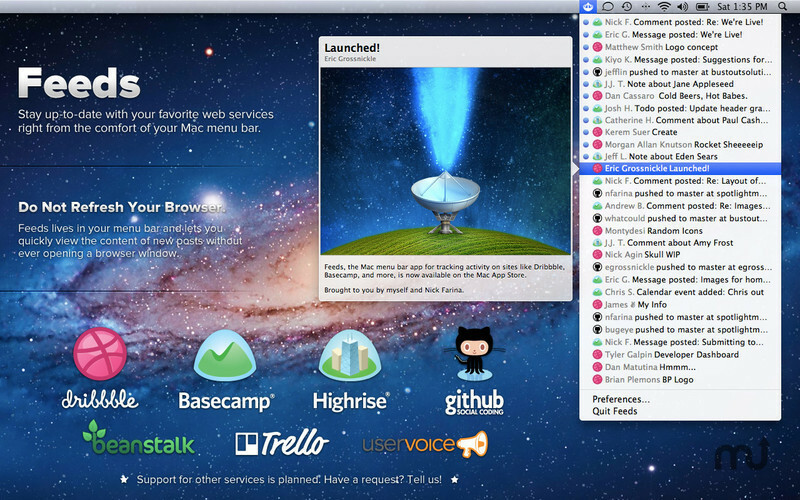 Monitor Dribbble, Basecamp, and other Web services. Developer website: Spotlight Mobile, Inc.
Is there a better alternative to Feeds? Is Feeds really the best app in Internet Utilities category? Will Feeds work good on macOS 10.13.4? 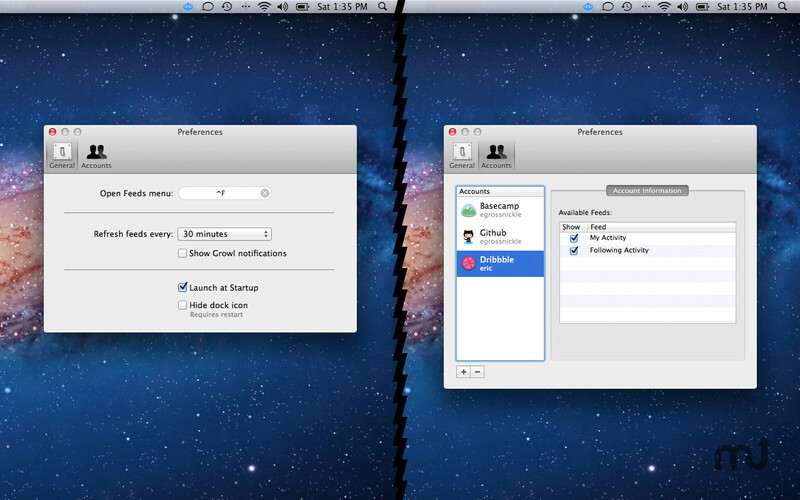 Feeds watches your favorite websites and notifies you when important things happen. 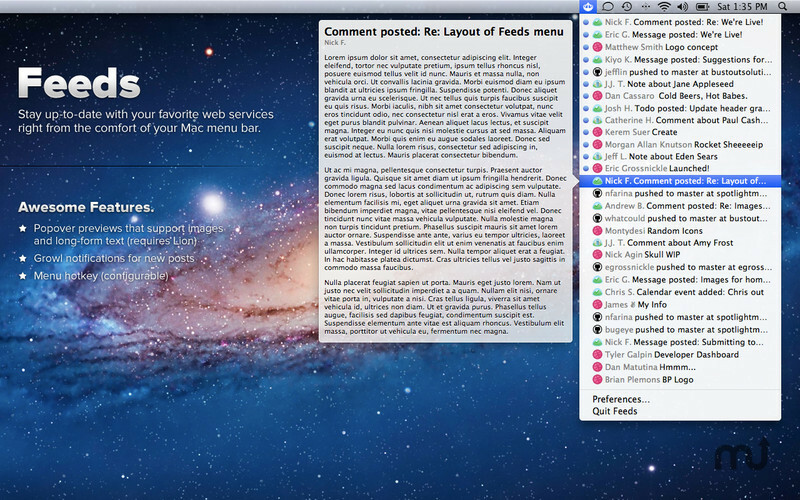 Feeds currently supports Dribbble, Basecamp (new and old), Highrise, Dropmark, Trello, Github, Beanstalk, and UserVoice.